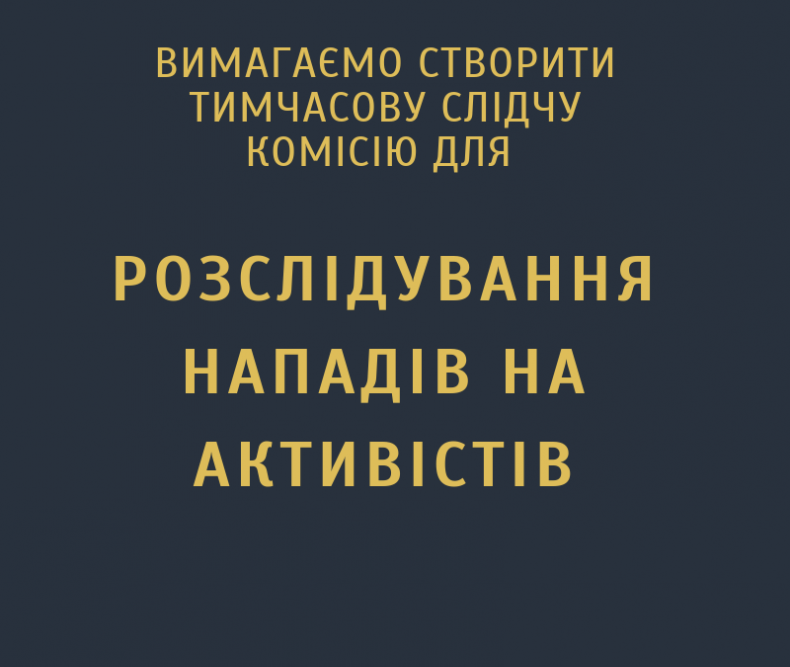 Petition of the Human Rights Agenda to faction heads of the Verkhovna Rada of Ukraine to set up a temporary commission for investigating attacks on civil society activists, journalists and politicians. Yesterday, on 4 November 2018, Kateryna Handziuk, civil society activist and official of Kherson City Council’s Executive Committee, died in intensive care after a three-month struggle for life and 15 complex medical operations. She was killed. Those who hired people to pour a liter of sulfuric acid on Kateryna on 31 July in Kherson, burning 40% of her body, finally got what they wanted. We believe that these issues have considerable public significance and demand that Parliament faction heads, in accordance with Article 89 of the Ukrainian Constitution, immediately set up a temporary commission of the Verkhovna Rada of Ukraine to investigate attacks against civil society activists, journalists and political figures that occurred in various Ukrainian regions over the past two years. We consider it necessary to allow representatives of NGOs that deal with these issues in their work to participate in the commission’s meetings. It is based on actions, not words, that we will be evaluating the sincerity of statements made by Parliament faction heads and other high officials regarding the certainty of punishment for people guilty of persecuting civil society.